By now, all third party Transformers collectors are familiar with the Feral Cons by Mastermind Creations, an homage to G1 Predacons. 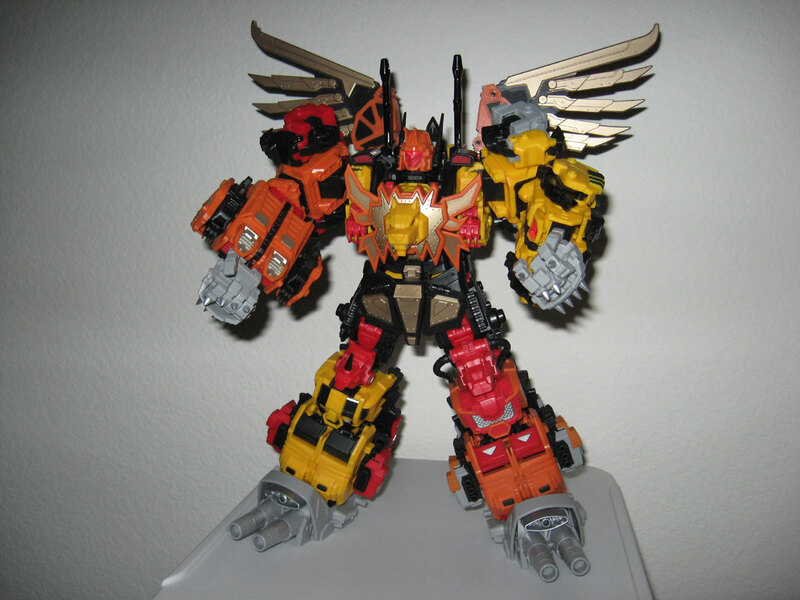 The 5 standard Feral Cons combine to form Feral Rex (Predaking). 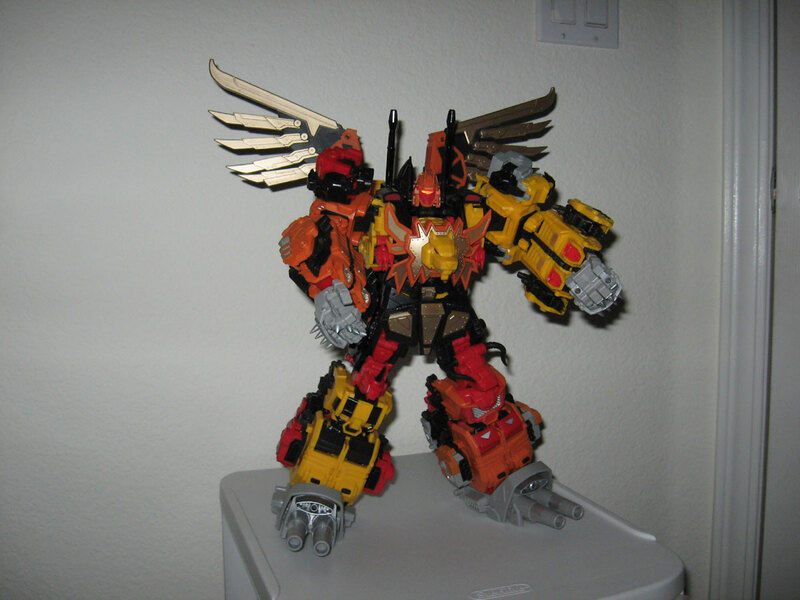 However, MMC manufactured a sixth Feral Con named Felisaber. Felisaber is a yellow repaint of Tigris (Rampage) with some minor mold tweaks. 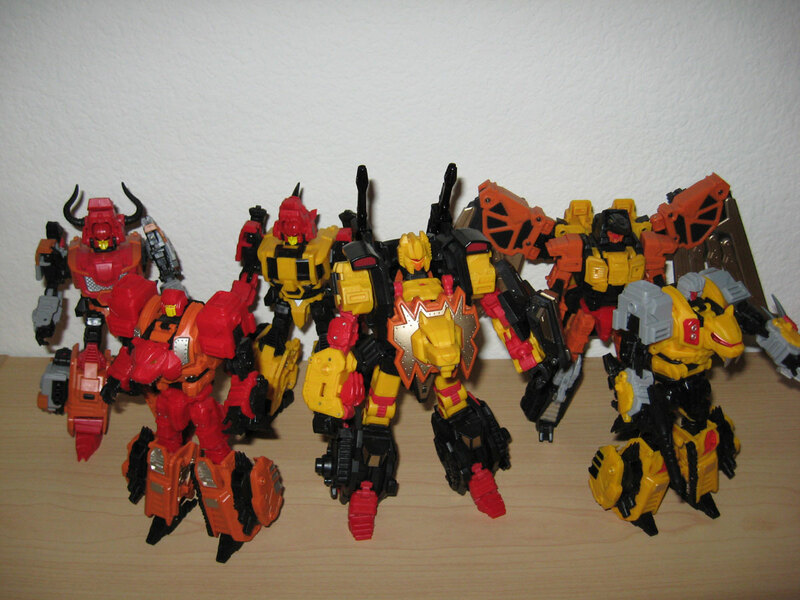 I know what you’re thinking… “There are only 5 Predacons!” Yes you are right. Maybe this is just a ploy for MMC to sell more toys. But MMC did give Felisaber a backstory. Felisaber is an homage to Catilla, an Autobot Pretender Beast who appeared late in the G1 toyline. The robot head mold, the yellow mechanical saber tooth tiger alt mode, and the tiger helmet with the Pretender shell looks, all point to the fact that Felisaber is Catilla. I don’t know much about Catilla as a character since he arrived way too late to be included in the US G1 cartoons, but he did make appearances in the G1 comics. Apparently, Catilla used to be a Decepticon. And MMC extended the story so that Felisaber was once part of the Feral Cons. With Felisaber in the mix, all six Feral Cons can combine to form the Ultimate Mode of Feral Rex. In this mode, Felisaber replaces Talon as the left arm. Talon then goes on the back of Feral Rex, acting kind of like a backpack or booster. As of this writing, there ain’t a whole lot of pics of the Ultimate Mode up on the web. Worry not my fellow TransFans! I have Felisaber and I have combined my Feral Cons into Feral Rex Ultimate Mode! Feast your optics on the pics below. In the Ultimate Mode, Feral Rex does look more balanced. However, he becomes extremely back heavy. Talon is now fully on the back, as you can see in the pic below. Personally I’m not a big fan of the Ultimate Mode. 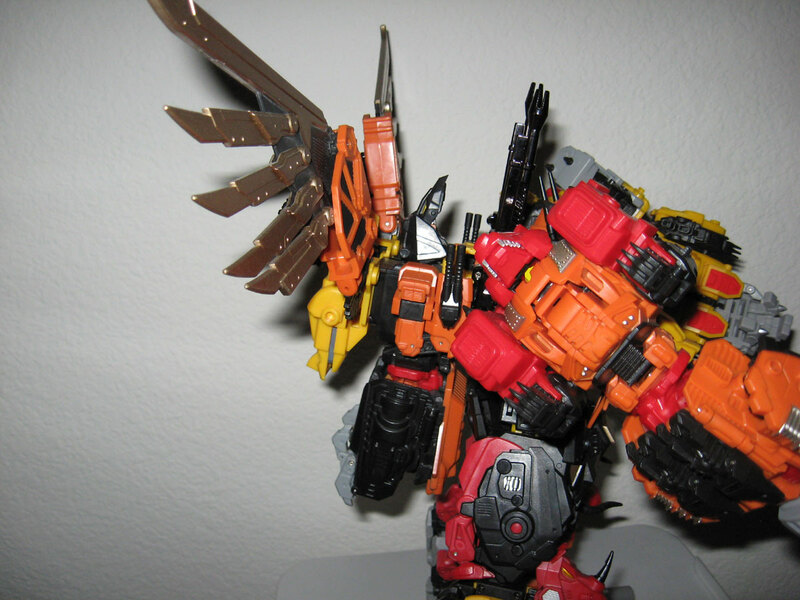 It’s not in the official TF canon that Predaking has a Ultimate Mode. And as for the MMC figures, Feral Rex easily falls backwards in this mode, making poseability a lot more challenging. I would buy Felisaber if you are a fan of Catilla. Or if you really like the Tigris figure. Tigris is my favorite of the standard 5 Feral Cons, which is why I bought Felisaber. But I would not buy Felisaber for the Ultimate Mode. Feral Rex is already an amazing figure without him, and Felisaber really doesn’t add anything to the combined form in my opinion. 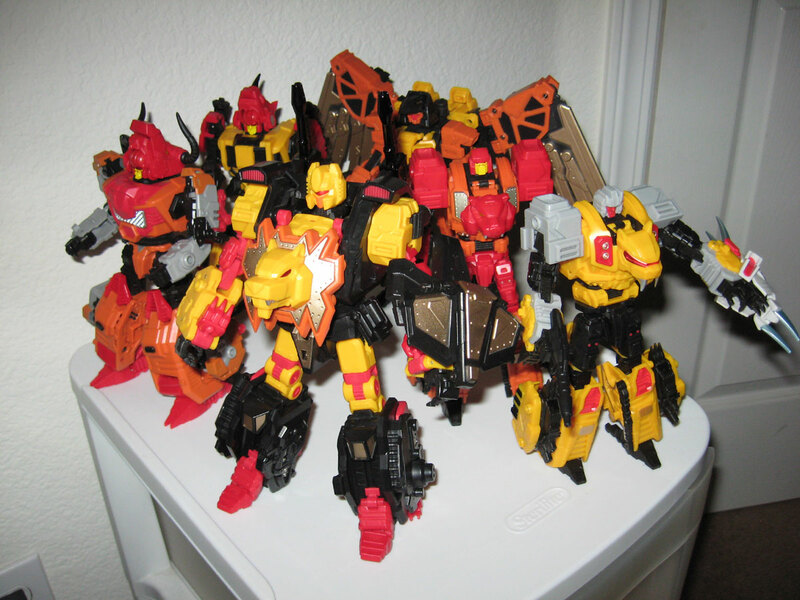 Before I end this post, here are some pics of the Feral Cons individually in their robot modes. Feral Cons… Transform and Roll Out. It’s been a while since I did a post about what’s on my shelf. So I’m doing one today. I especially like the three gestalts on the top shelf. Feral Rex and Giant have been featured elsewhere before in this blog so I won’t go into detail again. Combiner Wars Menasor is Hasbro’s official update of the Stunticons in combined form. Compared to Fans Project’s Intimidator, Menasor has it’s pros and cons. Individually I like the Hasbro figures better. 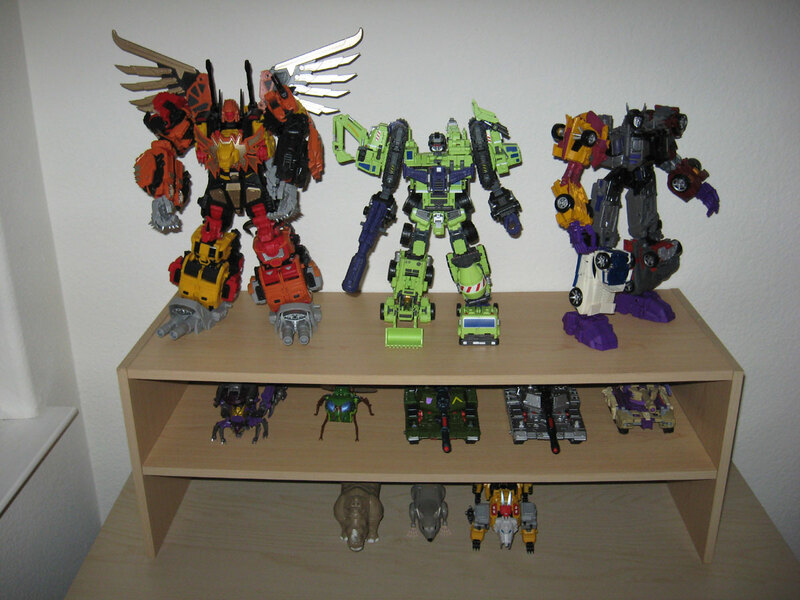 They are larger, sturdier, easier to transform, and more fun to play with. However in combined form, FP has the better looking Menasor. Intimidator also stays together better than Combiner Wars Menasor, as the Hasbro figure feels like it could quickly fall apart. However I should point out that the Hasbro figures feel more like a true combiner. The leg components are not simply adding on top of Motormaster’s legs, like in FP’s offering. Poor Rattrap and Rhinox. They are the only good guys here. 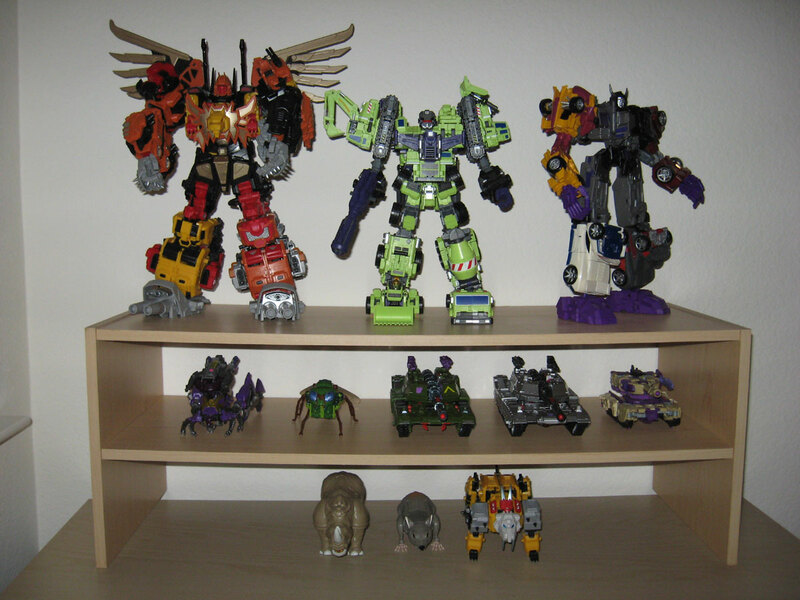 Technically they are not Autobots, so I don’t have a single Autobot in this post. Decepticons forever!